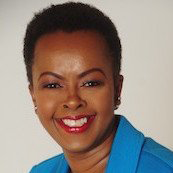 Wainaina was the United Nations Assistant Secretary-General for Human Resources from October 2014 till April 2017. Prior to this appointment announced on 25 September 2014 by United Nations Secretary-General Ban Ki-moon, Ms. Wainaina was Chief Human Resources Officer and a member of the Executive Committee at Royal Philips in the Netherlands. She is currently working in Casablanca, Morocco as the Chief Operating Officer for Africa50 Infrastructure Fund.